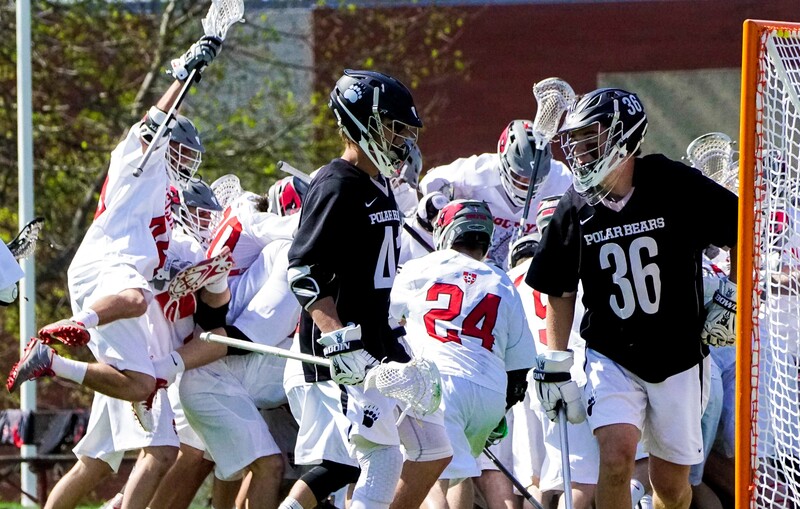 After three heartbreaking overtime losses earlier this season, the men’s lacrosse team picked up its biggest win of 2016 this past weekend with an extra session victory over Bowdoin. Earlier in the week, the Cardinals gained another boost in the win column with a road victory over Trinity. The squad improved its record to 9-3, with a 5-3 mark in NESCAC play. As the regular season nears its end, the team moved into fifth place in the conference, leapfrogging Bates this past week, and sitting only one game out of a tie for second in the NESCAC. Midfielder Grey Bradshaw-Mack ’17 stated the team’s goals for the remainder of the season. 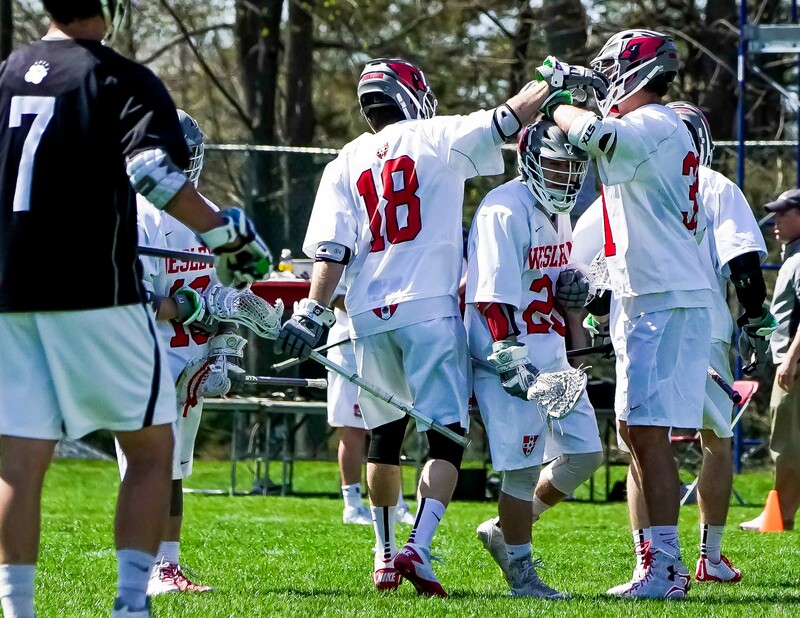 Last Tuesday, the Cardinals traveled to Hartford to take on in-state rival Trinity. 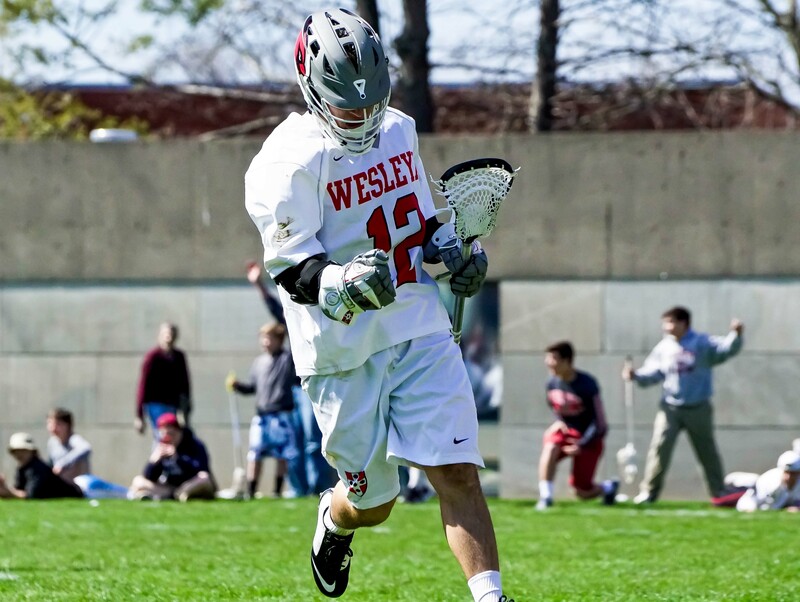 Led by a five goal effort from Taylor Ghesquiere ’18, Wesleyan came out on top, 15-12. Ghesquiere also added an assist to his stat line, while Harry Stanton ’18 netted three goals. Niall Devaney ’16 and Ryan Lynch ’18 each scored two goals, while Christian Barker ’19 tallied one and racked up four assists. 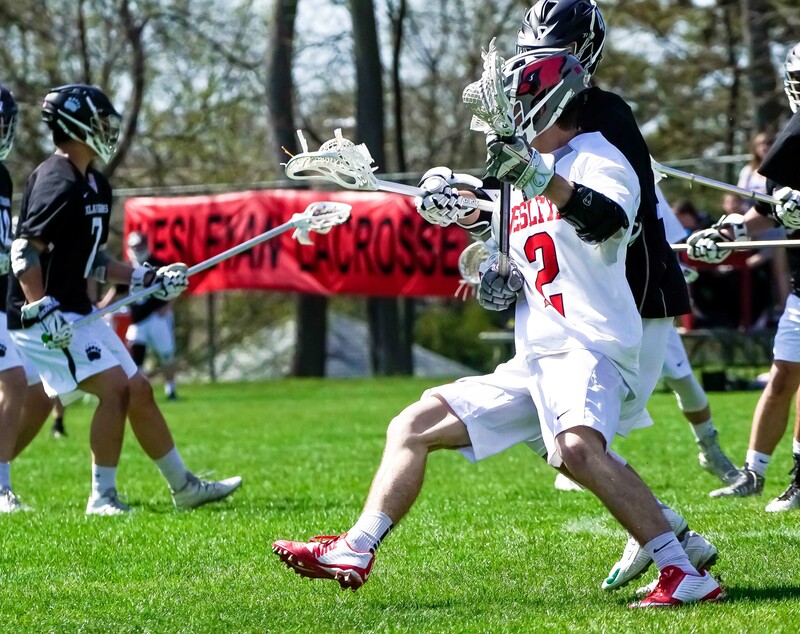 Quentin DellaFera ’16 also contributed with a goal and three assists, while Greg Pietroforte ’16 scored a goal for the Red and Black. Ted Bergman ’17 made 12 stops in net, reaching double-digits in saves once again. Trinity commenced the scoring in the game just under two minutes in, but DellaFera, Lynch and Ghesquiere scored three straight goals for the Cardinals to take a 3-1 lead. The Bantams would tie the game up at three goals apiece before the teams exchanged the next four goals leading to a 5-5 battle at the end of one quarter. Three consecutive Bantam goals to open the second equated to a 9-6 deficit before Devaney would cut the margin to two just before the half. The Cardinals went into the locker room trailing 9-7. Wesleyan opened the second half with three straight goals, as Devaney, Barker, and Pietroforte all found the back of the net. Trailing 10-9, Trinity scored the next two goals before Ghesquiere found twine with just under a minute remaining in the third quarter. To this point, Wesleyan’s leading scorer, Harry Stanton, had been held scoreless. Stanton then erupted with three consecutive goals to give the Redbirds a three-goal margin. A goal by Ghesquiere, followed by one final Bantam goal, ensured the victory for Wesleyan. Bergman described the immense amount of trust he has in his team. 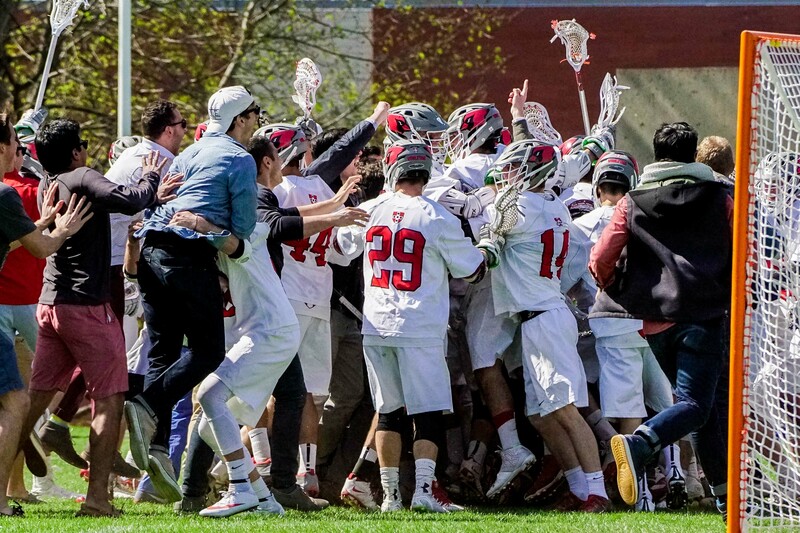 Following the victory over Trinity, the Cardinals took on eighth ranked Bowdoin at Jackson Field this past weekend. 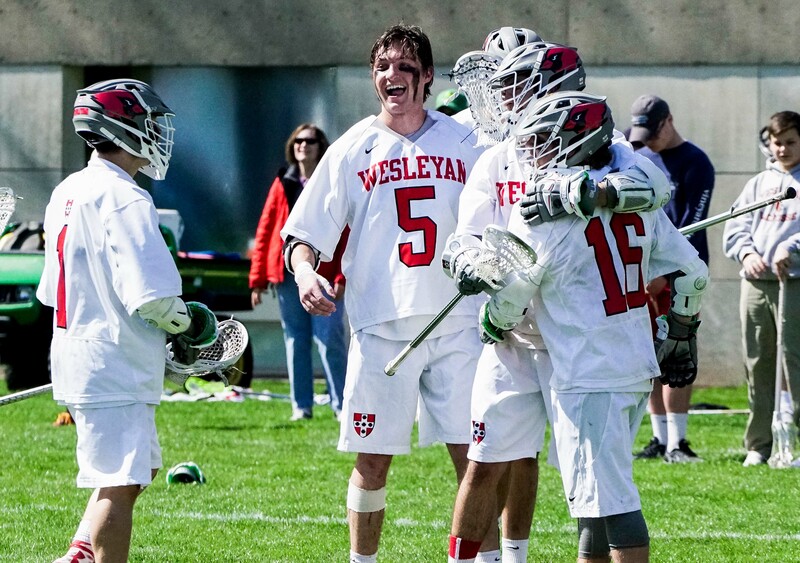 On a beautiful spring Saturday, Wesleyan edged out a 12-11 victory in overtime on Senior Day. Stanton netted the game winner for the Cardinals in a game eerily similar to the one played against Amherst a few weeks ago. This time, however, Wesleyan came out on top. Bradshaw-Mack weighed in on what went right for the Cardinals this time around. Ghesquiere matched his output from a few days before, once again scoring five goals and adding one assist. Stanton, Barker and Carter Hawthorne ’19 each added two goals apiece, while DellaFera tallied three assists on the afternoon. Bergman made 11 saves in net, while backup Stephen Kovalsky ’18 made two critical saves in 2:03 of action. Bowdoin opened the scoring in this one, getting on the board just 45 seconds into the action. A goal from Stanton followed by a Barker score on a man-up opportunity gave Wesleyan the lead at the 6:26 mark of the first quarter. The teams would trade goals inside the final minute of the first, and Wesleyan entered the second quarter with a 3-2 lead. Two early goals by Bowdoin gave way to a 3-0 Wesleyan rally, when Ghesquiere, Barker, and Hawthorne all found the back of the net to reestablish the Cardinal advantage. Bowdoin put up two more goals, but Ghesquiere followed with one in retaliation, giving the Redbirds a 7-6 edge at the half. Wesleyan opened the second half with unassisted goals by Hawthorne and Ghesquiere, followed by a Devaney goal on a man-up opportunity. Toward the end of the third period, despite the momentum seemingly shifting Wesleyan’s way, a taunting penalty by Bergman sent the Wesleyan goaltender to the sideline for 60 seconds. Kovalsky stepped in and made two key saves, halting any energy Bowdoin could have gained from the opportunity, and perhaps providing a spark to his team. In the fourth, the teams would exchange goals early and Wesleyan maintained a four goal lead at the 9:42 mark off a Ghesquiere goal. A Polar Bear goal at the five-minute mark, followed by a score at the 1:44 mark, cut the deficit to two. A pair of goals within seven seconds of each other knotted the game up with just 21 seconds remaining on the clock, and the game would proceed into overtime. 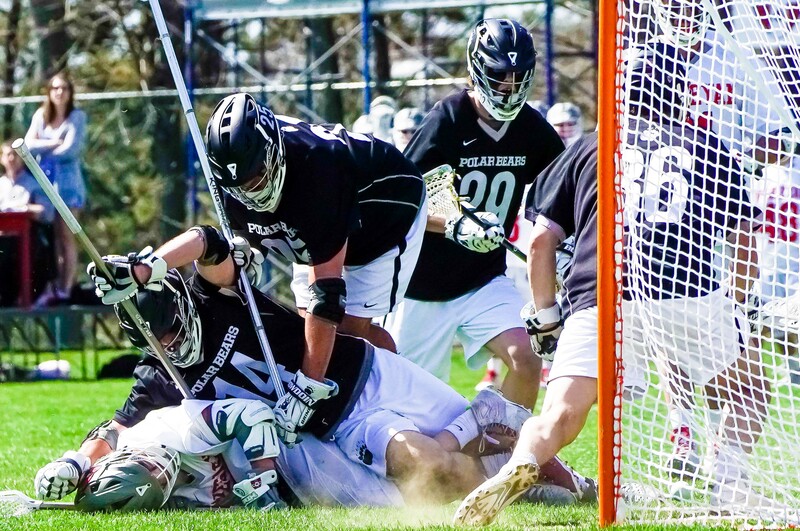 Wesleyan lost the opening faceoff in overtime, but a long possession eventually ended in a missed shot for Bowdoin. After moving the ball up the field, Stanton tucked a low shot past the Bowdoin goaltender to give the Cardinals their biggest win of the season. Referencing the critical stretch in the third where Kovalsky stepped in, Bergman offered high praise of his understudy. In what is surely to be a highlight of the 2016 season, the team must now regroup and focus on the road ahead. The squad is off until Saturday, when they travel to Medford, Mass., to take on two-time defending national champions, Tufts. The game will be a challenge, but coming off the victory over Bowdoin, the team knows it can play with anyone.